Agave spirits: what’s hot in 2018? What’s hot in the world of agave spirits in 2018? In this feature from BARS&clubs Autumn, Joe Sinagra finds out. Agave spirits have been increasing in popularity across the country in recent years thanks, in part, to cocktail bartenders and the bartending community embracing Mexico’s native spirit. More and more bartenders are reaching for agave-based spirits like tequila and mezcal to drive innovative flavour combinations and push the public’s perception of agave spirits. This thirst for knowledge has seen an explosion of agave-focused bars open up across the country, with venues pushing past tequila and mezcal’s previously dubious reputation to champion the craft and care that go into creating quality agave spirits. It’s all about matching the right agave spirit to the right cocktail. “Tequila displays a massive variety of flavours and aromas due to the different processes, terroir and of course the oak influence in aged tequila,” says Robinson. It’s exactly this wide range of flavours that excite bartenders to get creative with agave spirits. Bartenders are also branching out into a wider world of agave spirits. “Raicilla, Bacanora and even Sotol (although not agave) will increase as people explore more,” according to Alex McDowell from de Vino Mezcal, a distributor specialising in agave spirits. This increased interest has widened the agave spirit palate available for bartenders to play around with. No longer tied to the sameness of large scale industrial produced tequila there are now more options. 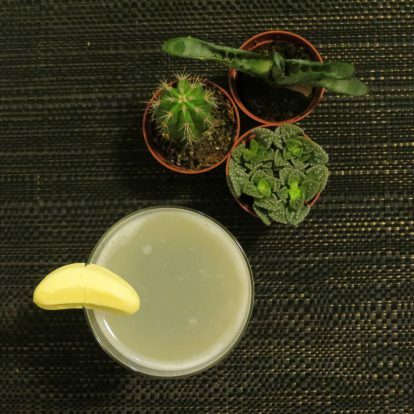 “With most of the agave spirits their flavour is definitely not something you want to hide in a cocktail – [when] creating an agave spirit cocktail you want every aspect to complement the natural tasting notes in each one,” Hot Tamale’s Anneliese Grazioli explains. Whether it’s a smoky, herbaceous mezcal or a bright, fresh and fruity blanco tequila, there is an agave spirit out there that is perfect for almost any flavour combination. Created by Phil Weber of El Grotto, Perth, Bananarama focuses on highlighting the candied banana notes of the Espadin based Mezcal. Complemented by light spice notes of the Falernum and a hint of salt to give an extra kick to the palate. Method: Add all to a shaker with ice. Shake and double strain into a chilled Nick and Nora glass. Garnish with a banana candy. For the rest of the article, subscribe to BARS&clubs here.